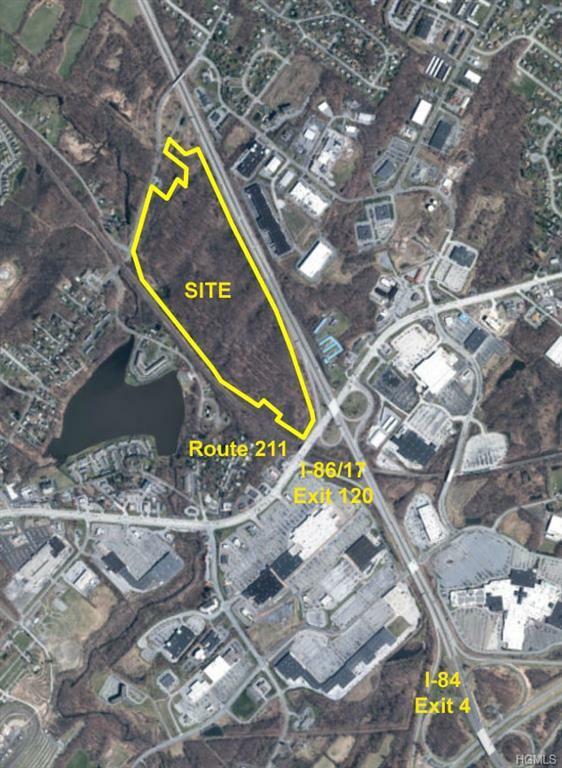 92 Acre site - Extremely high visibility located at the intersection of NYS Rt 17/I-86 and Interstate 84! Centrally located in central Orange County. Conceptually designed for wide array of uses including Warehouse. Alternative potential uses include hospitality, resort, office, mixed-use and more. Municipal water, sewer, and natural gas available. 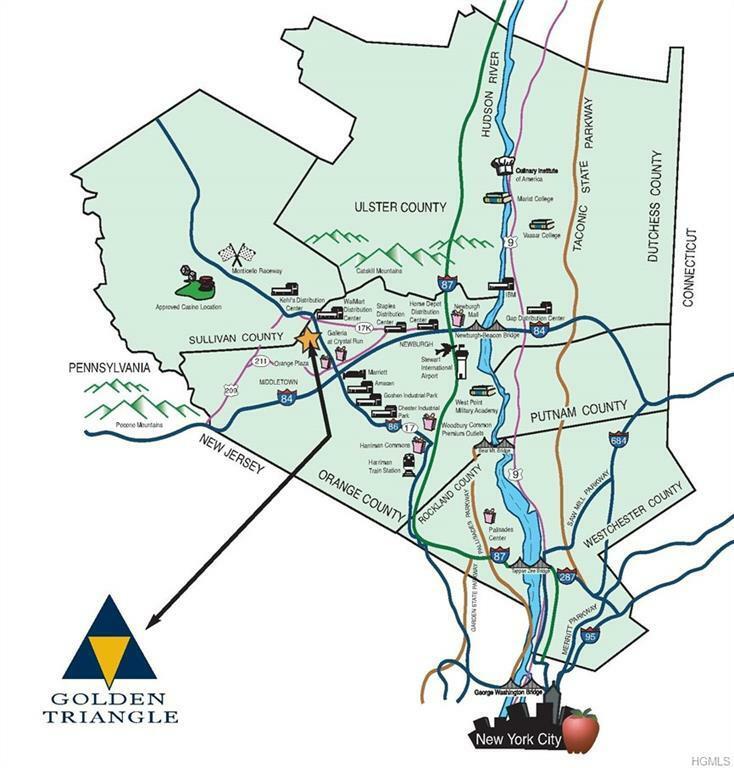 This property runs from Route 211 along Route 17 all the way to Silverlake Scotchtown Road and across to the railroad. 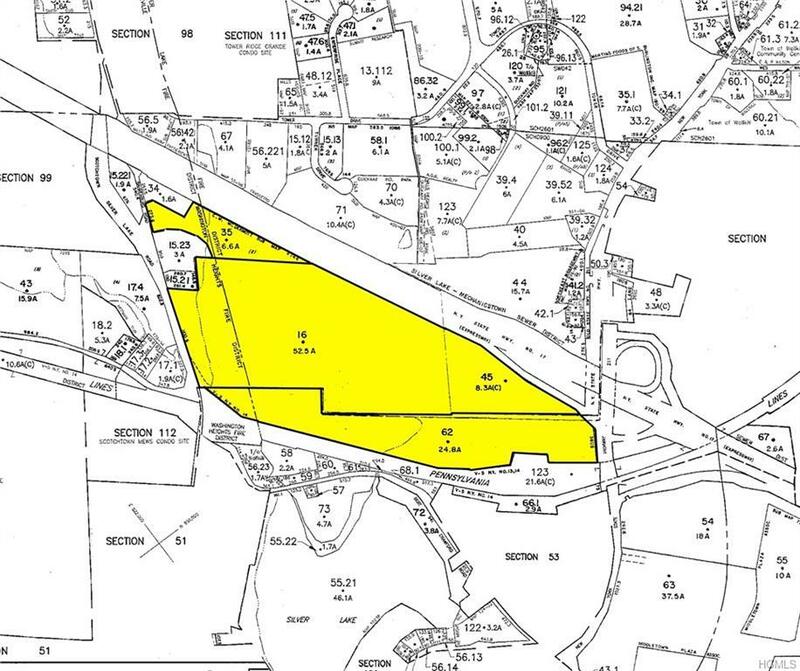 Current Town Center zoning. Zoning Amendments initiated to permit Warehouse/Manufacturing.